Healthy young men, who start working out with weights, build up muscle strength faster if they use a supplement with ashwagandha. American researchers, affiliated with the Center for Applied Health Sciences, report this in Nutrients. The researchers were sponsored by the producer of the ashwagandha extract Sensoril. The researchers experimented with 2 groups of active men aged 18-45, who seemed to have no previous experience with strength training. The men worked out with weights during 12 weeks. 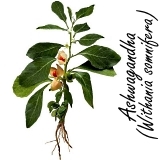 One group took a placebo every day during the experiment, the other took 500 milligrams daily from the ashwagandha extract Sensoril. 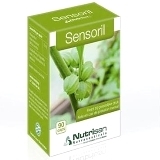 The producer of Sensoril, American-based Natreon, [natreoninc.com] funded the study. The men who took Sensoril gained more strength than the men in the placebo group. They also seemed to build up a bit more lean body mass, but the difference with the men in the placebo group was not statistically significant. We have a little problem with this study. The researchers had young men train for 12 weeks with weights, perhaps for the first time in their lives, and only the users of the ashwagandha extract gained a significant amount of lean body mass and strength? If infertile men take three capsules containing ashwagandha every day for a couple of months, their testosterone level rises by 17 percent and their sperm cell concentration increases by 167 percent. Researchers at the Indian Chhatrapati Shahuji Maharaj Medical University did trials on 75 men who were having problems conceiving children. A low dose of a steroid-like substance in the Indian plant ashwagandha may make it easier for fat people to become slim again.